We often hear that oral health is important for overall health. However, very few people actually take action while keeping this fact in mind. For instance, 80 percent of Americans are affected by periodontal disease and there are many people who do not know about their gum disease. The reason gum disease goes undiagnosed in many people is that their teeth look fine while the damage is being done from hidden and interdental spaces. You will get to know about these issues when you visit the dentist. Here, it would be worth mentioning that oral health is specifically connected with the heart. It means that anything bad with oral health can have bad impact on the health of your cardiovascular system. More specifically, the gum disease has been found in leading things to the development of cardiovascular disorder. Why gum disease and cardiovascular disease are related to each other? When you have inflamed gums, they allow the bacteria to enter into the bloodstream because there are many vessels that are present in the gums. These bacteria travel to the heart through veins and vessels. In the heart, the bacteria tend to attach themselves to the inner lining of the heart. This typically happens when there is an inflamed area in the heart. The illness which can occur as a result of this can be called endocarditis. Other heart conditions such as atherosclerosis and stroke are also connected to the bad state of gums. Who is at the risk of getting infected? People with gingivitis and periodontitis are at the higher risk of getting heart condition deteriorated due to bacterial inclusion into the bloodstream. It can be even more dangerous if your gum infection remains undiagnosed. 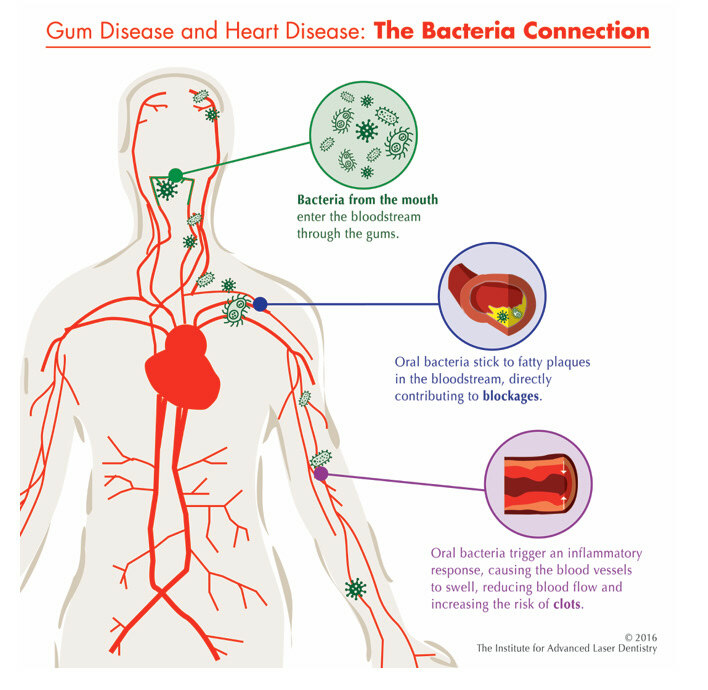 The bacteria associated with gum disease usually gain access to the blood vessels from where it becomes easier for them to reach the heart and its closest vessels. This inclusion of bacteria can cause inflammation which can further lead to the cardiovascular disorders. Even if you are not affected by gum disease, there is a chance that you will have gum inflammation if you are not taking good care of your dental hygiene. Now, you may wonder if you can avoid gum disease. One thing that you have to keep in mind here is that prevention is always better than cure. You have to make sure that you are taking good care of your dental hygiene by brushing and flossing right according to recommendations. Moreover, you will need to visit the dentist in order to get your oral cavity thoroughly checked on regular basis. 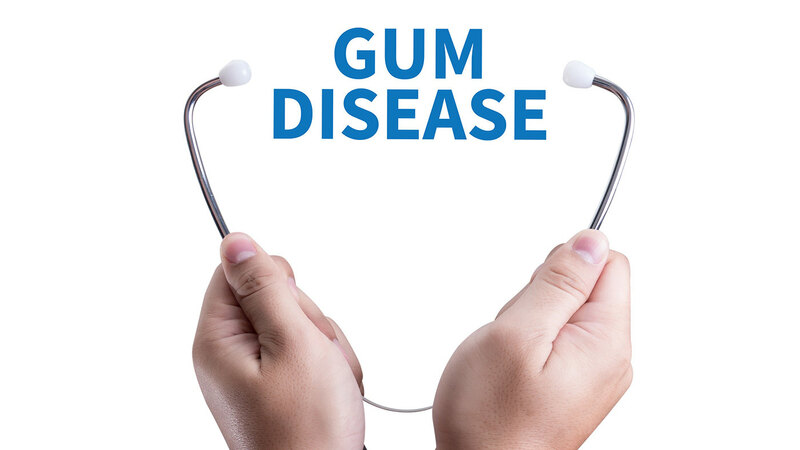 If you are infected by gums disease, there are treatment options that you can choose from. For this purpose, you can consult with your dentist.